The thought of a custom suit is impossible to ignore for a true suit connoisseur. There is something about having a suit specifically made just for you that feels so right - something that is uniquely yours, made only for you. At UWM our most popular custom suits are our own private label Richards Street (hand made in Montreal, Canada). Right in the center of all our in-stock, ready-to-wear suits, we have a table dedicated specifically for this line of custom suits. We constantly get in new fabric swatches and keep our list updated and accurate - even throughout a season, to insure you have all the options you could possibly want. You will never have to worry about not finding a fabric that fits you and your style. We will even keep your measurements on file for the next round. This way when you absolutely love your suit and want another the process is quick and simple. Lead time on our custom suits is between 4-6 weeks. 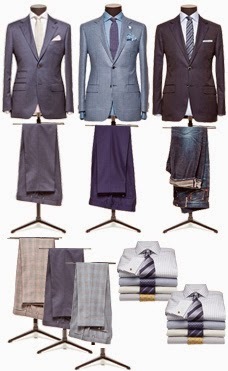 We also have the availability to do custom suiting from Kiton, Isaia, Brioni, Ermenegildo Zegna and Canali. Richards Street has profound importance for our store. Our original address was 28 Richards Street. We have chosen very special mills to produce our suits. They have a full canvas construction that enables the suit to drape to your own body and aides in providing you with a nice tailored look. Anyone who owns one of these suits understands why we have chosen to back this suit with such a significant name to our store. We all know that these days there are plenty of places to get cheap clothing. Fast fashion has taken over the way we things and live - unless you have worn that stuff more that a couple of times. Some people still want something better - something real, genuine and quality. We live for high end shopping at Utah Woolen Mills. Here, you will find the best of the best like Kiton, Brioni, and Isaia. The fabrics are of the highest quality, and the construction is unmatched. Thanks to our master tailors, we guarantee the perfect fit. In our store we can fit you no need for full custom anymore even though it is a possibility, with our tailors and design team we will fit you and your needs. People from all over the world come to our specialty shop to see the most luxurious items in the world. What makes us so different is that we are experts in fits. We are certain the right fit the right time. Recently, I went shopping just to see what was new in other stores around the city. It's hard to find a store with products and people that are as passionate as we are about our craft and our products. We take pride in our growth as a company and store. 111 years this year and we still have the highest quality in Kiton, Brioni, Isaia, and our house brand Richard Street. And things are coming in constantly. It is a must to come in 59 W. South Temple. For those who want something a little more sophisticated, who don't want to be wearing the same things your teenage children are wearing, there is a better way. From polos to tuxes, a higher level of quality will lift your game to the next level. We are so proud to be Salt Lake's premier store for high end shopping and high end fashion. Come in and just try things on and all the sudden the prices seem to melt away. Luxury. Fashion. Utah Woolen Mills. 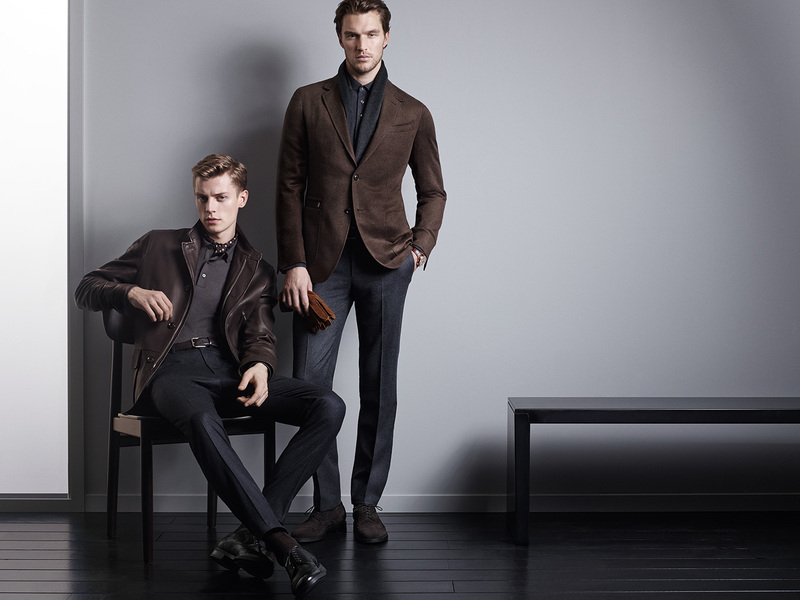 Founded in Rome in 1945, Brioni continues to be a leading innovator in the fashion industry. In addition to putting on the first ever men’s fashion show, Brioni was one of the first brands to introduce luxury materials such as silk and brocade into the construction of its suits. The result was a trim silhouette with unmatched style and sophistication. The fashion house was named for the Croatian island of Brijuni, a popular getaway destination for Italian aristocrats throughout the 20s and 30s. Everything about the brand exudes influence and status. Today, the tradition and name live on. 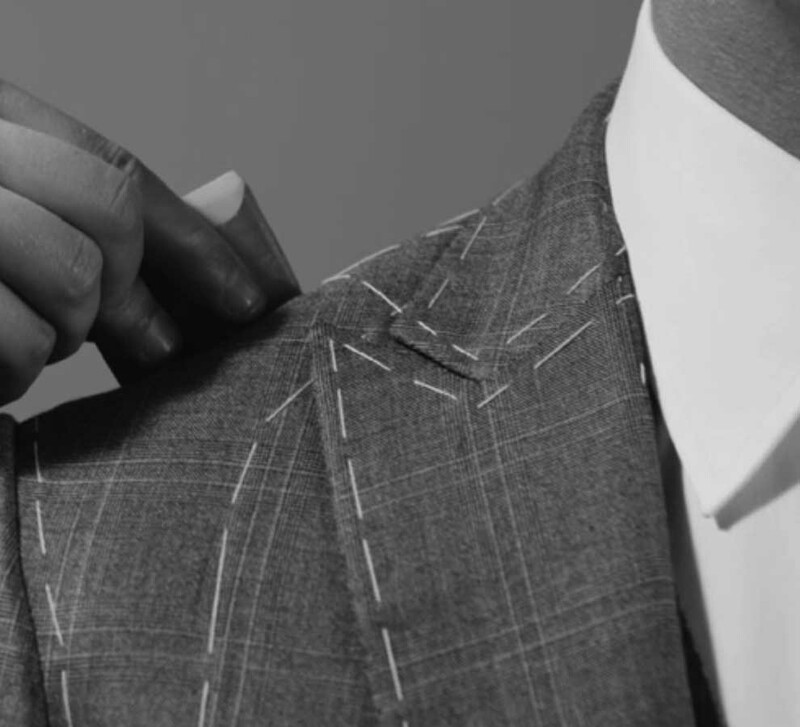 What sets Brioni apart from any other is the laborious, painstaking detail that goes into every element of the suits they craft. They are entirely handmade from only the finest materials from around the globe, including cashmere, baby alpaca, super-spun wools, silk, and silk-blends. Every tailor is taught for four years before they are even allowed to handle fabrics for clients. They are obsessed with perfection, so much so that every element of their products is kept exclusively in house. Nothing is ever rushed. It takes about 28 hours of diligent work before a suit is even considered complete. The beauty lies in the detail and timeless style embodied through every fiber of fabric. 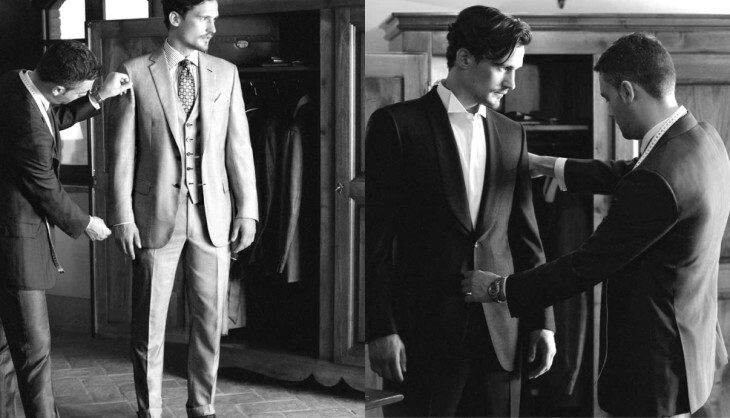 Additionally, Brioni is well known for its bespoke suits. Unlike a “made to measure” suit, a Brioni bespoke is tailored not to a certain design, but to the exact specifications of one person. It provides the wearer with a truly unique and lasting suit. 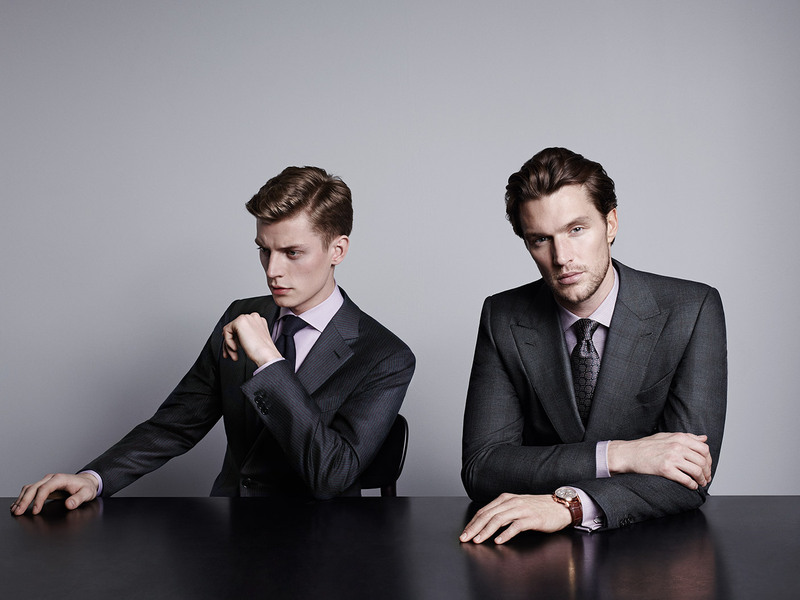 The Brioni name symbolizes elegance, power, and perfection, as do those that wear it. Along with numerous celebrities, pop stars, and politicians, Brioni is most commonly recognized as the “James Bond” suit. It inspires an aura of unrivaled confidence, quality, and affluence. At Utah Woolen Mills we believe in the balance of tradition and innovation. We strive to bring in only the best of what embraces those values we believe in. Isaia is definitely some of the best at pushing boundaries in fashion while focusing on comfort true to the Neapolitan tradition. Naples is a large city full of vibrant color, culture and tradition on the west coast of Italy. The Neapolitan style embraces the costal colors but more importantly the culture of leisure, making comfort a staple. Those who live in Naples know that even relaxing is a time for looking good. 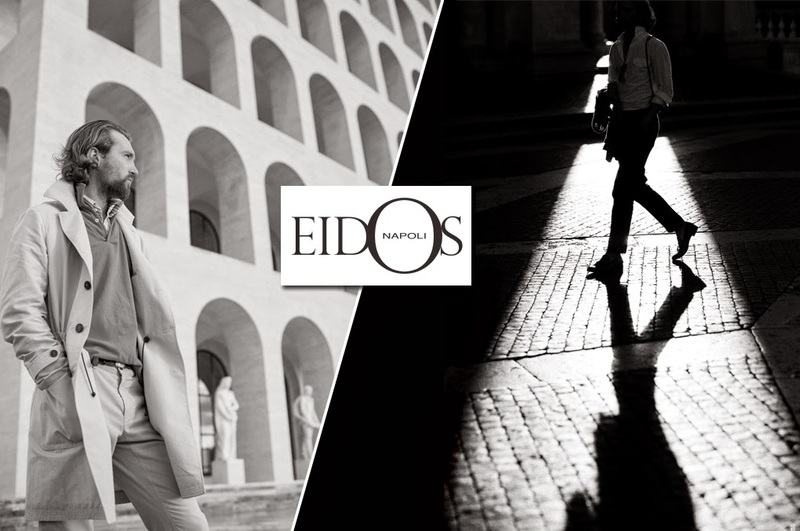 Dressing in the Neapolitan style is a sure way to set yourself apart from the average man. 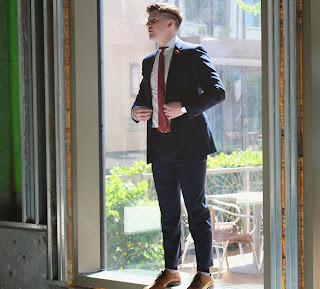 The way Isaia clothing looks, on who wears it, is unique and obvious. 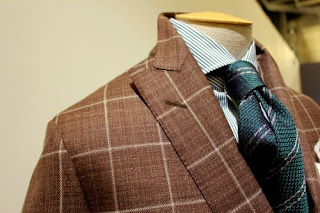 Putting on any sport coat or suit made by the Neapolitan business will always leave a lasting impression. The Spring collection of 2016 brings in plenty of color and pattern to make the most out of the summer. The brand shares a similar belief as we do: “The brand's success is due to its ability to reinterpret the concept of history and to combine tradition with innovation, the sartorial culture of needle and thread with cutting-edge technologies, while constantly innovating its style”. That’s what we believe in at Utah Woolen Mills and that’s why Isaia is a perfect match for us from its style to its history. Excellence is a habit, not an accident. It is taking the time to put your best foot forward everyday, in every situation. It is the foundation to success and a good life. At Utah Woolen Mills, we are here to help you build that foundation and put your best foot, or perhaps shoe, forward. 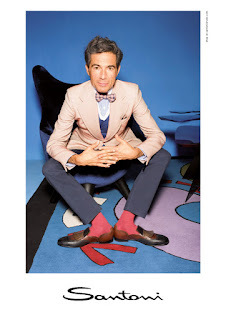 That shoe is Santoni. Born out of the Marche, a bourgeoning area of Italy on the Adriatic Coast, Santoni was founded by Andrea and Rosa Santoni in 1975. While other manufacturers of the era would pride themselves on quantity, Santoni was focused staunchly on quality. Every process is overseen with impeccable quality control. Each leather is selected and inspected by a backlit magnifying lens, where only the finest are kept. Truly hand stitched and as close to bespoke as a shoe could get, they exemplify Italian craftsmanship. It is commitment to quality that keeps this family owned business on the forefront of men's fashion. What is most striking though, is the depth of color. By hiring artists and art students to individually paint each shoe, you are ensured a truly singular pair. The crocodile skin is especially stunning, with care taken to shade and outline each scale. Very few companies would take the time! These details are subtle, but even from a distance you can tell there is a magic in Santoni. The leathers have an almost HD effect, ensuring you will turn heads as you go about your day. 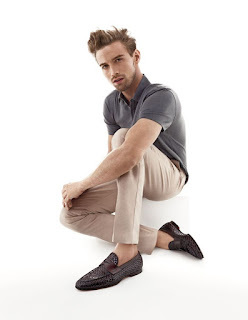 Here at Utah Woolen Mills we are proud to carry the Santoni line. Like Santoni, we pride ourselves on carrying only the finest, on classic construction, and on being fashion forward. 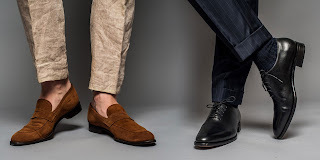 They are the perfect compliment to a well tailored suit, a sport coat with slacks, or paired down with denim and a polo. They are a wonderful foundation to your wardrobe, and dressing well is an excellent habit to have. When I say the phrase 24 hours, you might think of the length of a day or a week at a part-time job. I think of Kiton. That is the minimum number of hours it takes to make one jacket, by hand, in the Kiton factory. 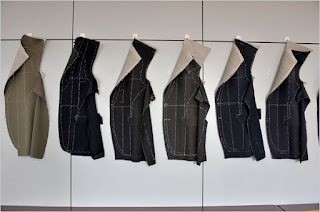 Painstakingly sewn, each jacket is as much a work of art as the clothes on your back. For those privileged enough to try one on, you will know just what I mean. 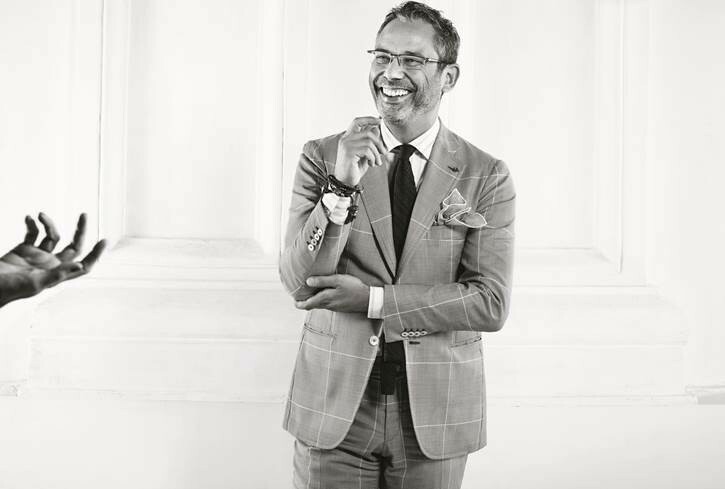 Starting in 1956, fifth generation fabric merchant Ciro Paone co-founded Kiton with Antonio Carola. 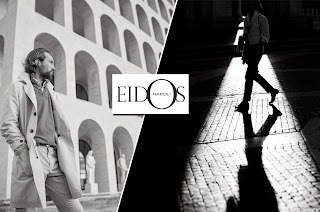 In 1968 the brand launched and is currently run by Antonio Paone and Antonio De Matteis, nephews of Ciro. Since their humble beginnings, they now employ over 350 tailors, the majority of which are younger than 40. In a world of fast, disposable fashion, it is a good sign that they are sticking around. Keeping in line with their origins as a fabric merchant, they have some of the most limited textiles in the industry. 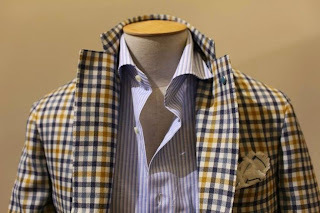 Woven in their own factory of Lanificio Carlo Barbera, Only 17 suits or 22 jackets can be made out of any given fabric, making sure you will never blend in with the crowd. It is this exclusivity, and the immense amount of time needed that upholds their motto The best of the best plus one. 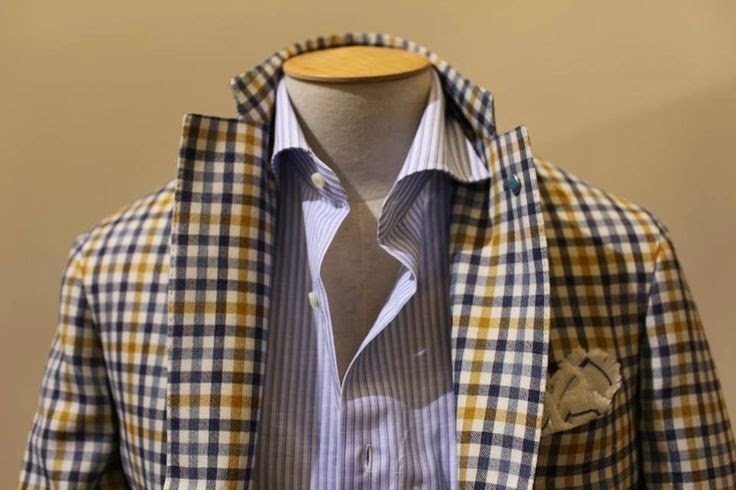 Starting at $7495 for a sport coat, they are the premier designer we carry. At the upper end of their tailoring you have the K-50 line, taking a single tailor 50 hours to produce. For the right price, you can even have a master tailor fly to you for the bespoke process. Exquisite is an understatement!Next chance you have, come on down and try one. You will know in an instant that somebody took the time to make it right. It is a rare thing in this world, and an experiencewe are excited to share. Brioni, the venerable Italian menswear maker, is named for an archipelago off the Croatian coast frequented by Europe’s rich and famous in the first decades of the 20th century the brand still bespeaks money, power, and success, having won a passionate following among CEOs, movie stars, and assorted world leaders. Founded in 1945 in Rome by master tailor Nazareno Fonticoli and businessman Gaetano Savini, Brioni sought from the start to challenge conventional fashion. It introduced innovative color palettes, and fabrics, and staged the menswear industry’s first fashion show, in 1952, at the Pitti Palace in Florence. The brand announced its arrival in the U.S. in 1964 by draining the fountains at New York’s Waldorf-Astoria hotel and transforming them into a runway. In Brioni you find the most most precious fibers in all the world. If you want to have the best of the best look no further. 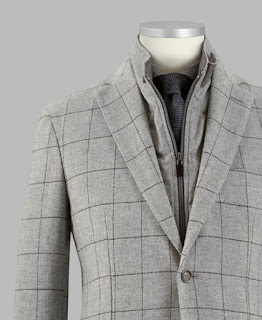 With the suits gong from $6,900 to even a $17,000 with a super-210 wool. They are the company that has 220 steps and more than 24 hours of effective workmanship. Brioni is a deeply rooted family. If you want to look the best. Then look no further, CEO, movie stars, and so many world leaders. The brand will always speak power, success, and money. Power is something men love to have. 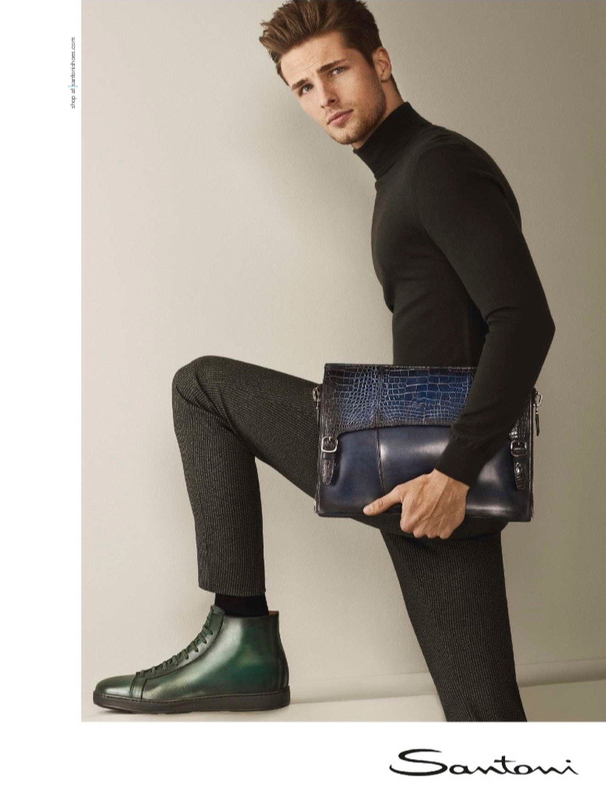 What Brioni does they speak power with what you wear. 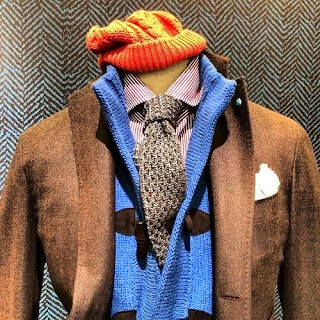 If you want something you can wear in a meeting or just walking around downtown Brioni is a must. With how much business men love to speak with power and authority it is a must to wear what you say. With how I have seen men dress we all want something that is the best and that will last. With the super-210 wool that is what you will get! The price tag is much less in the future with how much you will get out of it. If you want to be the best of the best wear best of the best. Kiton is world renown for being one of the most luxurious companies on the planet. We are so fortunate to have them in our store. So far, this brand has been a huge hit here in Salt Lake City. We have received our full Spring '16 shipment and wanted to share images of what we have with you. 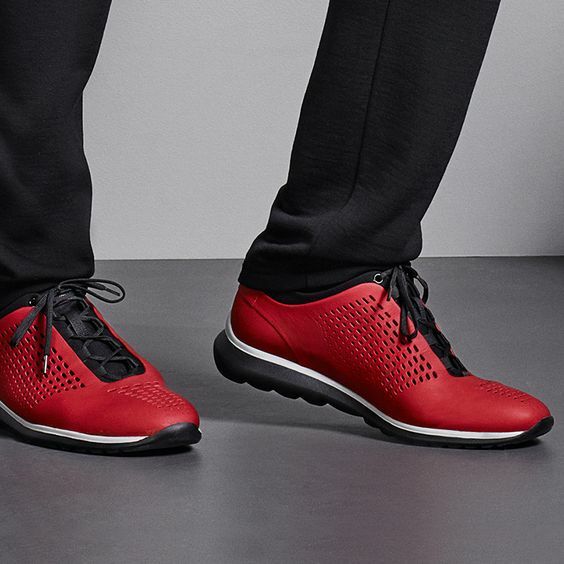 From sportswear to suits, we have something for every occasion. The diameter of a human hair measures between 65-85 microns in width - microscopically. The diameter of wool typically varies between 18-21 microns. Kiton, of course, working with the best of the best has suits of 13.2 microns. These fabrics feel like lightweight cashmere, but are in fact wool. With hairs so thin, they keep their durability while also maintaining the other identities of wool that people love. Let's be honest, in today's world the easiest way to stand out is simply by wearing a nice sport coat. Paired with jeans or slacks, dressed up or dressed down it's the easiest way to make a statement. With Kiton, they like 'em loud and bright - drawing of their Neapolitan surroundings. Few companies on the planet have the level of luxury that Kiton has in things that you can wear on the daily. Their leathers are unheard of, their fabrics so elegant and soft and of course to the comfort level is unbelievable. These pieces have been a huge hit for us so far this Spring. The first image shows a perforated leather jacket that is made from an incredibly lightweight goat swede. The details could be in an art museum. The second image is an all silk exterior, cashmere interior rain jacket that will actually wick the rain. 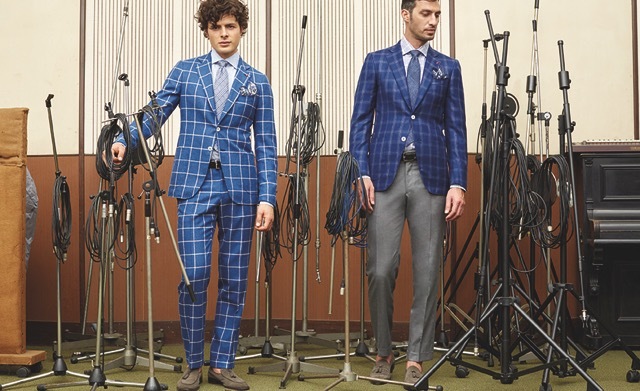 Remember, with Kiton, they only produce 17 suits and 26 sport coat in each fabric. Exclusivity is very important to us with this brand so quantities are incredibly limited. Step up your Spring game with these incredible pieces! You may have seen glimpses of people online bringing double breasted suits back and we have got to say that we love the new look! Slim, trim, updated and fitted. We have a few models in the store with more to come - and of course we can always custom make you one! Let's take a look at the updated version of the new double breasted jackets - where they come from and where they are now. The 90's are a great place to start if you ever want to easily see how far menswear has come. Take these double breasted suits for example. At this time, Pierce Brosnan was in peak physical condition but looks like he has never lifted a weight. Brad Pitt was in Fight Club shape, but again, looks like the kid we all picked on. A draping full fit never did anybody any good. If you are out there cringing at the thought of double breasted coming back, we don't blame you if this is the image in your head. These images make it pretty easy to see the dramatic difference between the two eras of double breasted. The button stance of the jackets is higher on the new version, the sleeves tapered, waist slim. 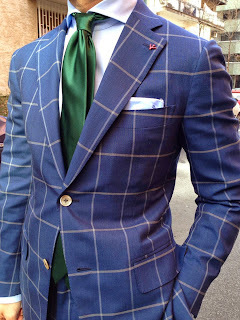 They accentuate the chest how a proper suit should and highlight masculine areas. Isaia double breasted suits, as seen above in charcoal, has really been the front runner in terms of style. They are the most purchased high end double breasted jacket - and we may be a little bias, but are some of our favorites as well. Other contenders would be Kiton or our own Richards Street. Come on in and try out a double breasted jacket and see what the update can do for you and your inner Bond. 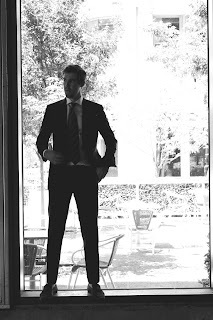 Do you usually have a trouble in finding a qualified custom fit suits in SLC, Utah? Or do you often go to big city to find your outfits? 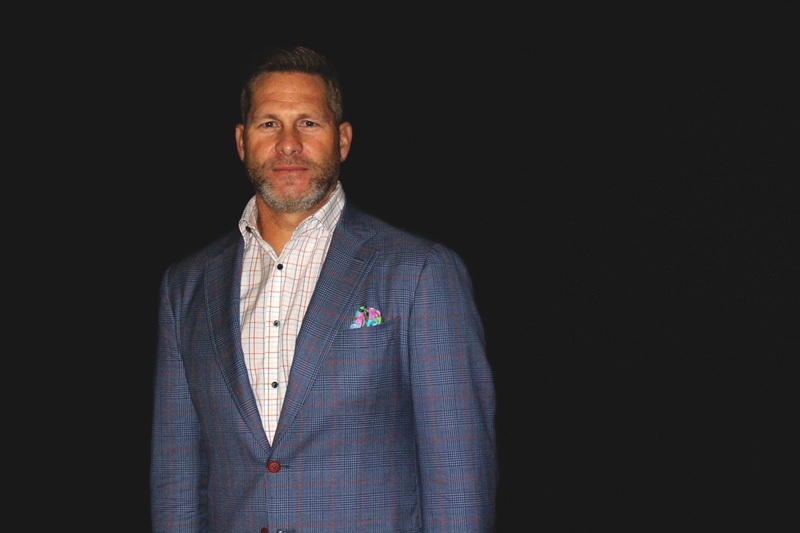 Utah Woolen Mills is celebrating their 110th year in business this fall and has specialized in custom suits throughout that time. With plenty of resources to draw from, as well as a very well trained staff. They are sure to get you in the right suit for you. Utah Woolen Mills, located at 59 W. South Temple, Salt Lake City, Utah, is a historic men shop that Esquire magazine endorsed. 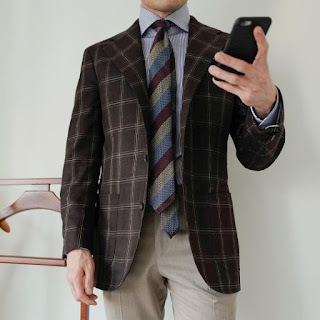 They provide many famous brands of custom suits such as Brioni, Isaia, Ravazzolo, Oxxford, and Byron that come from different countries and have diversities of style. Also, their private brand: Richards Street is a popular craftsmanship of retro fashion. 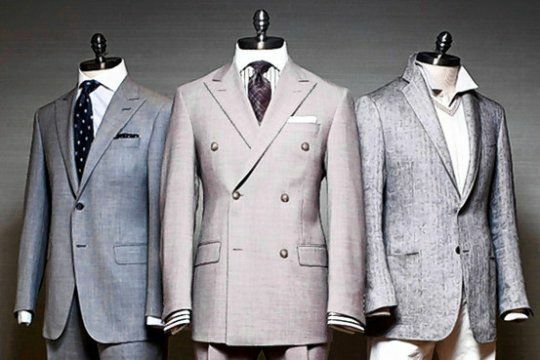 The price range of suits would be from $895 to $8,000. Now, if we are talking custom fit suits, Utah Woolen Mills has a ton to offer. Not only do we have some of the best manufacturers in the world to draw on, we also have an in house tailor that can tweak the final suit on site to make sure that you are happy walking out the door. We are happy to take measurements, try on models or use an existing suit for your new custom suit. We have the availability to use Loro Piana, Holland and Sherry, Ariston, Vitale, E. Thomas, Scabal and Dormeuill fabrics. Our custom fit suits are made in Italy, Canada or here in the U.S. depending on which manufacturer you prefer and start at 1599. 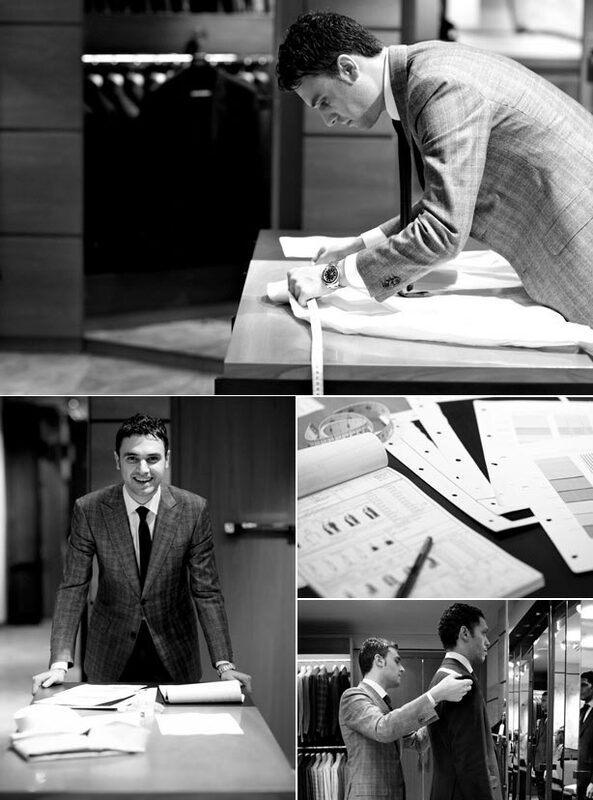 Typical turn-around time on our custom suits ranges from 4-6 weeks. You can anticipate spending a half hour to an hour for fitting and fabric selection. 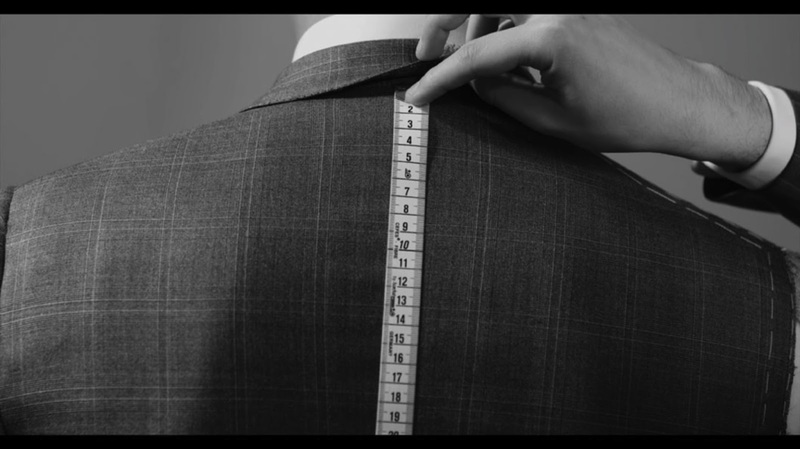 Once your first suit is made, we will keep measurements on file for you, making subsequent suits a matter of fabric selection. If you have never owned a custom fit suit, try it. You’ll never go back. There is something special about making and wearing something that was made for you. We’ve been around 110 years. We know our stuff. We’ll fit you like you’ve never been fit before. Kiton was founded in 1956 by Ciro Paone, a fifth-generation fabric merchant who made a visionary move into tailoring. From then on, they insist that everything goes around the quality of the fabrics. They have always worked with leading fabric producers, motivating research for new qualities of yarns to create the most exclusive fabrics in the world. Furthermore, with the quality and uniqueness of its handcrafted creations, Kiton gradually has become the finest clothing brand in the world. Today we are pleased to introduce their top three models of made to measure suits. This suit model is made exclusively by five of our finest tailors, who follow its construction from the design concept to the definition of every single detail, devoting 50 hours of meticulous labor. Each of these tailors is able to produce a maximum of fifty K50 suits per year. The K50 model follows the line of the wearer’s body in a natural way, so as to always guarantee a perfect fit. The suit can be considered perfect because of its shape, its adaptability and the stitching of the fabric, its entirely handmade preparation and for its pockets, which are intricately finished in great detail. As Kiton’s oldest and finest model, only a few of these suits being created a year by a single tailor who dedicates 40 hours to each individual apparel. They produce The LASA model follows the shape of the body so thoroughly that it seems sewn on. 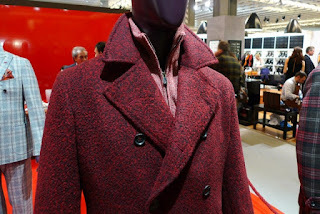 This is even more apparent in the sleeves, tapered at the forearms, making the jacket as soft as a shirt. Each stage of the production of a LASA garment is unique and meticulously undertaken: especially the modeling, ironing and sewing at the neck make this garment one of a kind. In other words, nothing is left to chance in this suit’s creation. The CIPA model is the newcomer. 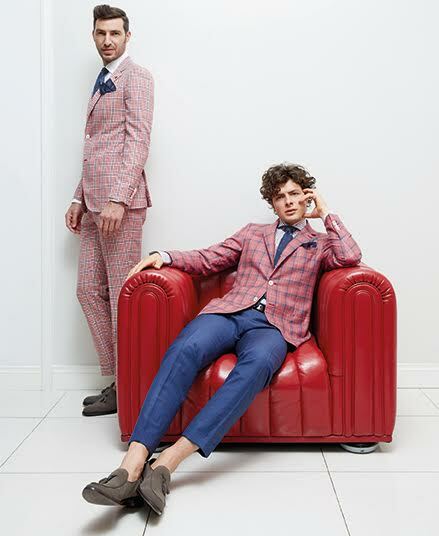 Created in the sixties by Ciro Paone, it has recently been reinstated into the current collections with a revised styling, with the goal of improving the ancient tradition of Neapolitan tailoring but adapting it to modern trends in worldwide fashion. A new shape, a slimmer outline and high-class fabrics designed specifically for Kiton that are motivated by the younger generations, who are fascinated by the elegance and superiority of the Kiton style and who like to dress smartly. As always, the result is a matchless style, deriving both from the design concept and the finishing stages; every detail is studied to guarantee the maximum exclusivity to the man who wears this special making. Our official launch date is going to be September, 10 in conjunction with our 110th anniversary party! We hope to see you all downtown Salt Lake so you can see and wear for yourself the finest in the world. This morning we were excited to be featured on Good Things Utah. The video link is down below! Enjoy!